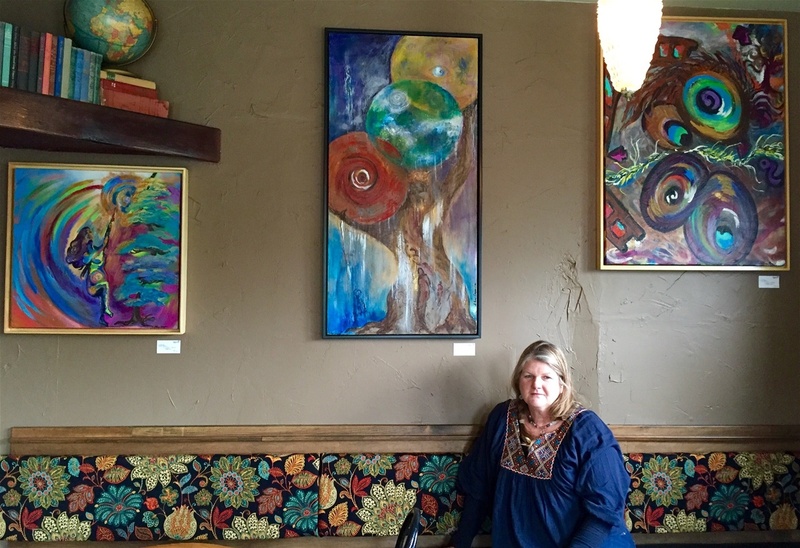 The art of Suellen Evoy-Oozeer displayed at Rino's kitchen is glimpse of paintings from the 2009-2015. 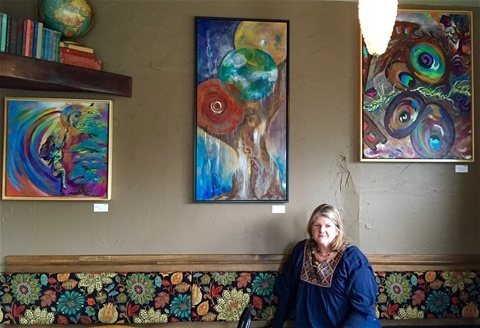 She is an intuitive artists' trying to capture elusive energy that vibrates between Earth,Humanity and Spirit; using colour,texture and movement. Rino's is an optimal setting for the patron to see how these original energetic works fill the space of a historic home.